The promising world of mobility is driving many of the real world tasks through a sophisticated environment. Mobile devices have revolutionized the world by the way matters are managed nowadays. The challenges though remain as business leaders rely on flexibility to have their productivity maximized; add to this the IT administrators who always favor an organized environment to work with. Trying to eliminate the above pain points is a company focused on transcending mobile technology to the next level. Founded in 2013, CodeMyMobile is positioned as an enterprise mobility partner for businesses looking to have greater flexibility in their workflow and to maximize task specific productivity while optimizing security using a risk based approach with NIST 800-124 standards. 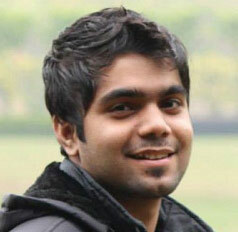 Ankit Khatri, CEO and Co-founder, CodeMyMobile, has been responsible for the passion in which this team has worked to attract the big clients. This determination to deliver next generation design patterns, responsive coding techniques and rigorous quality assurance reflects in its high quality apps and effective solutions which guarantee high ROI. The company offers effective Turnkey mobile application development product libraries and API integrations that reduce development timeframes by more than 300 percent. Its flexible mobile device management software reduces total cost of ownership ensuring compliance with NIST 800-124 standards. And its consulting-led methodology helps businesses prioritize requirements on enterprise mobility projects based on contributions to revenue and profitability. The firm has an array of products which include customizable Apple and Samsung MDM server user interfaces, analytics modules, car research databases, OpenXC application libraries, real time quiz apps for educators, Yahoo finance integration scripts, image editing libraries for Android and iOS. CodeMyMobile is focused on growing their development and API integration libraries which provide IT administrators easier device and application management capabilities and also the far reaching agility for business processes to envision a wider technological horizon. The company is also focused on ensuring greater regulatory compliance with HIPAA-HITECH, SOX, and GLBA in the near future. For its hardwork the firm has bagged esteemed clientele in Mercedes Benz, Ford, Samsung and Prada. With hundreds of legacy applications already running the company looks to gain traction in applications across all industry verticals that help manage customer, partner and employee interactions. A provider of business solutions in mobility space serving platforms in Android, BlackBerry, Windows and HTML5.